Homes For Rent » Ready, Set, Move! So you are thinking about moving? Overwhelmed yet? Between packing, finances and finding the ideal place, moving can be quite the task. So, before you take a step forward get an accurate assessment of what it would take to move and then make a plan of action. Before you prepare for a move, make sure you do your research! 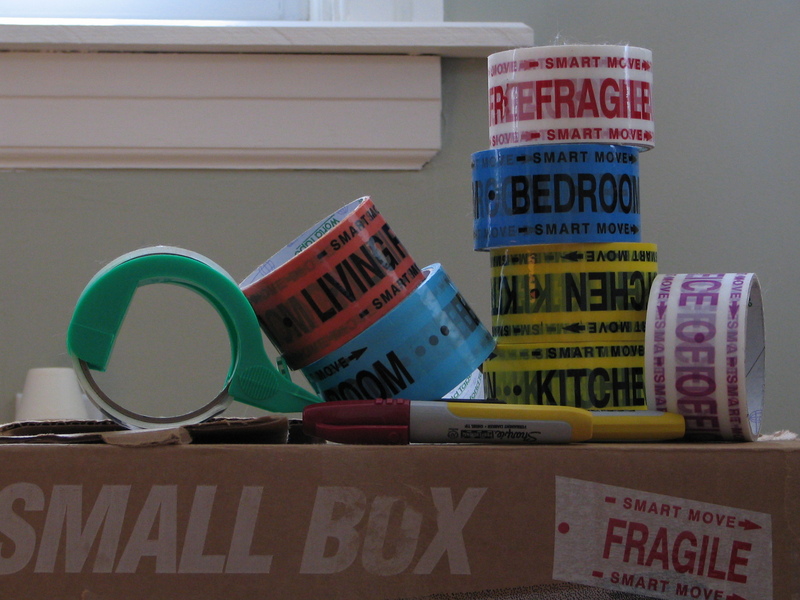 The number one way you can help prepare yourself for a move is to get organized. Getting organized ahead of time will save you from feeling stressed or pressured later in the process. One tip in staying organized is to keep a note-book or three-ringed binder of all of the information you find and gather during the home-search process. Keeping all of your information in a note-book allows you to compare and contrast each piece of information you receive, giving you the ability to make wise decisions. Keeping track of your current budget, finances and other expenses is also vital. Paper work can easily get lost once a move begins, so having all of your financial information in a secure place is a great way to maintain organization. One easy way to combine your financial information is to keep all of it stored in an excel spreadsheet. Getting your financial information organized gives you a good start on assessing your budget. Evaluating your current finances and setting up a budget will help you determine what you can actually afford when it comes time to start house shopping. The first step in putting together a budget is to set a target amount of money that you would like to spend. Coming up with this number ahead of time will help you cut your search down to homes that are in your price range. It may also be a good time to evaluate if a rental property would be a more affordable option, especially if you are a newly wed. There are many different reasons people decide to move. Finances, schools or jobs are usually at the top of the list. After assessing your financial situation and deciding on the ideal location don’t be afraid to explore all of your options. Buying a house is not your only option. Nowadays there are rental properties that can meet all the criteria you are looking for while saving you a good amount of money. Rental homes, duplexes and even apartments may have everything you need. Finding a great rental property can be a reality! If renting is out of the question, try to connect with a local real estate agent. The agent will be able to do a lot of research, saving you hours of extra work. Whether you are set on owning a home or are open to a rental, knowing your options will help you make the best decision possible. Once you have finalized on a property the real fun begins, packing. Packing can be one of the most difficult parts in the moving process. Staying organized and having a packing plan is vital to a successful move. Research your options before packing as well. Compare packing companies by getting quotes and service details. If you are moving yourself be sure everyone who is helping is on the same page. The excitement of moving can sometimes quickly diminish when the details start spinning out of control. Having a plan before the process begins can save you and your family in the long run. If you are in the market to move, start making a plan today!